If you're looking for limestone Type 1 in the Isle of Wight, look no further than Isle of Wight Aggregates Ltd. We have over 30 years’ experience in the industry, making us your ideal choice for your gravel or sand supply needs. So pick up the phone and get in touch with us. We offer highly competitive prices on all of our products! 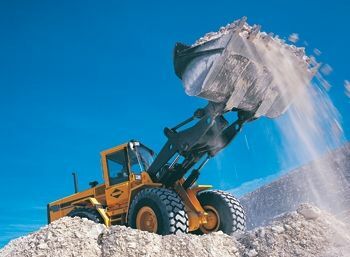 Here at Isle of Wight Aggregates Ltd, we offer top quality materials at very competitive prices; we are located in West Cowes and offer an island-wide delivery service. We offer sand, gravel and limestone products for trade or to the public. Through our years of experience within the industry, you're guaranteed to get an excellent service, so please do pick up the phone today and give us a call using our Click to Call button and we will be happy to help. For further information on sand, gravel and limestone supplies anywhere on the Isle of Wight please do not hesitate to drop us an email and we’ll get straight back to you. We look forward to hearing from you.